An impressive Logo Design becomes your Brand Identity. Logo plays an important part in every business. A logo describes entire company in a small symbol. When we think of a Brand name the first thing comes in our mind is the logo. A logo gives a unique identity to your company in this Professional Business World. 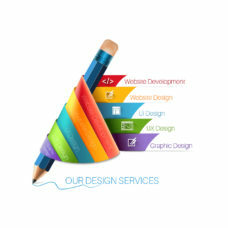 At Dream Designers we design high-quality Professional Logos for every business, profitable and nonprofitable sectors. We design logo as per our clients work and requirement.